In the United States, lawyers have been for many years held to be liable for giving kerbside advice. This is when a neighbour with a legal problem sidles up to the lawyer and wants to ‘pick his brains’. The neighbour armed with the free legal advice, which is in fact incorrect, acts on it to his detriment, then sues the lawyer for compensation. That is why a shrewd lawyer will never give his advice for free. The concept of kerbside advice is now alive and well in England and Wales. In Lejonvarn v Burgess  EWCA Civ 254 an architect who provided her professional services to her neighbour for free without a contract was liable in tort. She had been required to exercise reasonable care and skill as the relationship assumed was professional rather than informal or social. The lesson to be learned is never to volunteer any professional services for free other than when acting in a properly documented pro bono case. John specialises in commercial and civil fraud litigation. Admitted as a solicitor in 1983, John worked in private practice and in-house for a leading life assurance company before establishing Bivonas with Antony Brown in 1997. 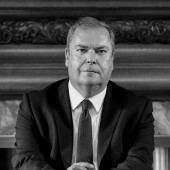 John has extensive experience in a wide range of courts and tribunals including the UK Supreme Court, the Court of Appeal and the Divisional Court. He has been involved in a number of important reported cases.